Simple and elegant this vintage style headband is a real "star". Featuring clustered diamante details edged with strands of pearl and crystal it is the ideal choice for a vintage bridal look or city weddings. 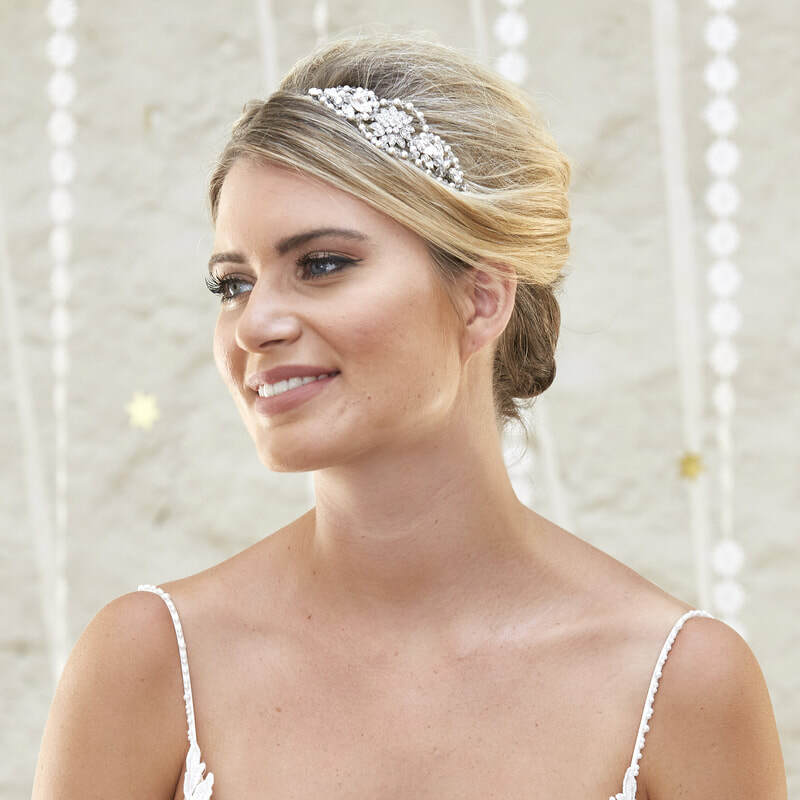 Designer's Tip: "For even more of a vintage feel choose a ribbon bound headband in a choice of Ivory, Honey, Brown or Black"
Model wears AR568 in Rhodium with Ivory pearls & Silver Shade Crystals.